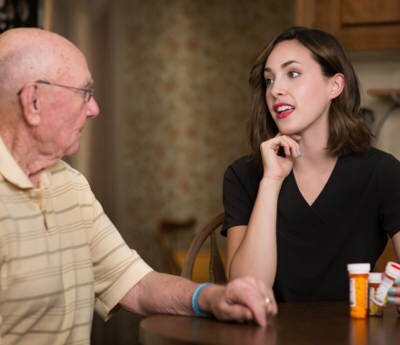 We realize the challenge anyone faces when considering in-home care. dedicated and looking for an exciting career opportunity. Please fill out the form below and someone will be in touch. 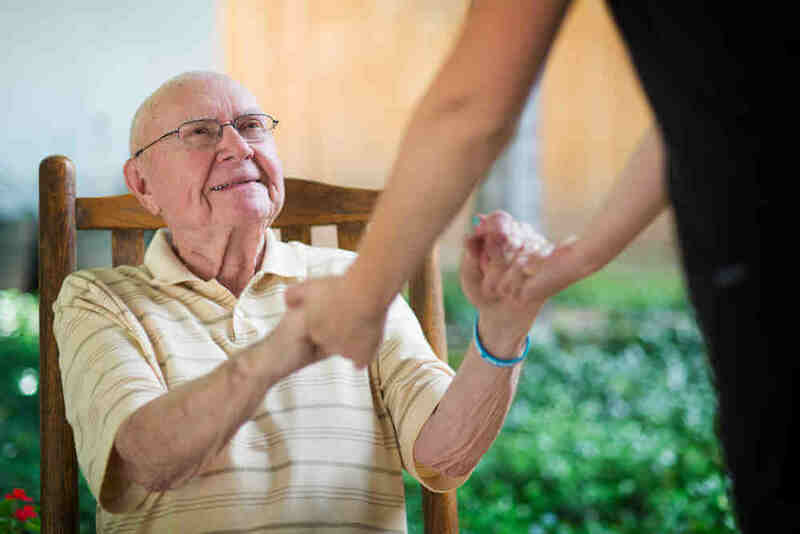 We realize the challenge anyone faces when considering senior home care. It only adds to the anxiety of having a loved one who needs additional help just to accomplish the basic tasks of everyday living. Let’s face it, home is where the heart is, and for millions of Americans, senior home care is a logical option. But, trying to do it all yourself can easily become a burden that makes it all but impossible to maintain the life you want for yourself and your family. Whether it’s companion care or comprehensive care, Heaven at Home Care is here to help ease the burden of aging loved ones. From light household duties to Post-Hospitalization Care. We are there for you! We provide various high quality home care services that fit the unique needs of each of our clients. Come work for one of the top rated and largest privately owned Home Care agencies in the metroplex. We employ highly skilled and compassionate caregivers and find their perfect client match.
" You all were life savers in our time of need. “Thanks” is not enough!
" I want to thank all of you for the excellent care that you gave to my wife during the period of her last declining year, and months, days, and finally, hours. Although it was not a pleasant time for J, you did all you could to make it truly Heaven at Home. Both Jamie and Delores were quick to discover the cause of any new problem and relay the information to the hospice nurses. They also tried their best to keep J calm concerning her approaching death. Both of them are truly angels. They helped J and I during this difficult time.
" She is wonderful, outstanding, superb. She's a God send and Mom's a very happy clam! Although Mom can't remember her name half the time - all the more reason to have her there. Mom is eating three square meals a day and waits for me to call her rather than calling me 4 times a day. Thanks for asking. Good call. Good match. God is good. Ensure you have a caregiver that matches your every need. Heaven at Home only selects the most qualified and experienced caregivers to provide care for our clients. 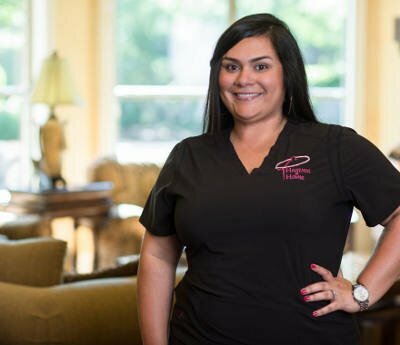 In fact, the majority of our caregiving staff members are Certified Nursing Assistants, which means that they have undergone an extensive and rigorous training curriculum set forth by the state of Texas. Rest assured that no matter what type of care you or your loved one may need your Heaven at Home caregiver has the skills you can rely on. Of course, none of this matters if the personal connection just isn’t there, so while we strive to always have that “match made in Heaven” between caregiver and client, if at any time you wish to make a staffing change just let us know and we’ll gladly provide alternate options!